Have you ever tied plastic bags around your work boots to keep your feet dry in the rain? Don't let it happen again. Be prepared for bad weather with these Timberland PRO 92615 Brown Boondock Waterproof EH Composite Toe Men’s Boots. They'll put those grocery bags ... (see full details) (see specifications) #TMBTB092615214. Have you ever tied plastic bags around your work boots to keep your feet dry in the rain? Don't let it happen again. Be prepared for bad weather with these Timberland PRO 92615 Brown Boondock Waterproof EH Composite Toe Men’s Boots. They'll put those grocery bags to shame. The brown uppers of these Timberland Pro boots are made with distressed leather to create that worn, lived-in look. It's just for looks. This leather is actually very hard to wear out, it's resilient to weather, and it stays flexible even in the cold. The distressed leather has been oiled for added resistance to moisture. The oiled finish of these composite toe boots keeps the leather more supple, and because the leather is waterproof, it's ready to face the world outside. You'll be ready, too. To add even more wetness protection, these work boots have thin, waterproof membranes. These membranes completely block moisture to protect your skin and keep you dryer. Antimicrobial technology prevents bad smells, killing bacteria-causing odors before they become a problem when you wear these waterproof boots. Dual-purpose top hardware keeps the laces securely in place all the way up to the padded top collars. These work boots are soft everywhere. Dual-density anti-fatigue technology softens your stride with two layers of impact-absorbing comfort. The design of these EH boots is made to absorb shock and return energy back to your feet. The dual-density sole design absorbs impact with every step you take while wearing these Timberland Pro boots. Lightweight polyurethane absorbs force to help you resist impact. Thermoplastic polyurethane, otherwise known as TPU, is lightweight like plastic but springy and durable like rubber. The TPU layer adds bouncy shock-resistance to your step. You get the best of both thanks to the two-layer design. The rigid external heel cups give your steps lateral stability to keep your stride steadier. The soles are attached to the leather uppers of these Boondock boots with Goodyear welt construction. This stitched construction method joins the uppers and soles together with waxed thread that resists moisture and chemical damage. The heels are cemented to the design. They’re glued in placed to create a firm, moisture-resistant bond. Meanwhile, non-metallic fiberglass keeps your stride more comfortable when you wear these anti-fatigue boots. The fiberglass shanks keep arches lifted and supported to prevent muscle strain. The safety toes are non-metallic as well. Made with composite material that doesn’t conduct electricity, the toe caps meet ASTM F2413-05 safety standards of impact- and compression-resistance. Shaped on a TiTAN last, the composite toes fit comfortably around your feet. The soles are tested to meet EH safety standards. They’re resistant to electrical hazards and made to soak up dangerous electrical currents to keep you safer around open circuits. Abrasion-resistant Ever-Guard leather on the heels and toes protects your work boots from visible scuffs and wear. Timberland PRO 92615 Brown Boondock Waterproof EH Composite Toe Men’s Boots keep you ready for whatever’s going to happen to your feet. I love these boots. They are so comfortable and roomy. I can't believe how fast they shipped. My only complaint is that I look like I have clown shoes on (but they are work boots, so who cares, right?). I didn't realize the toe box was going to be so tall, but that's my own fault for not reading more carefully. Thank you so much and Working Person's Store has a new customer. I have been wearing Timberland Pro boots for about eight years now. Usually there is a break-in period were your new boots hurt your feet until then, but not these boots. The boondock boots were comfortable from day one. I have fallen arches and have to wear orthodics to be able to be on my feet longer than an hour. 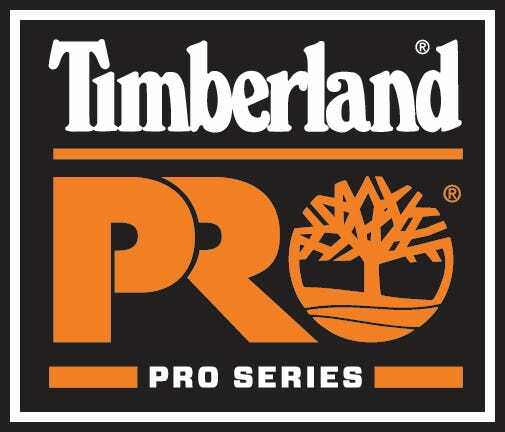 Timberland Pro series were the first boot that I could be on my feet all day and not be curling my toes trying to stay on my feet. I have been wearing these boots for four months now, and they still look great and are performing awesome. I install HVAC systems for a living and I am on a ladder most of the time. Best boot I have ever owned. I love these boots. They are so comfortable and roomy. I can't believe how fast they shipped. Lots of room in the toe area. Wish I would have found these boots years ago. Hope to purchase some more in the near future with Working Person's Store. The best online work boot shopping website. Let me get right to my point. There seems to be a ridge just in front of my heals. I had worn the first one for a couple months hoping it would break in a bit. eventually I had it warrantied out and tried another pair. This pair also had the same problem. Causes me leg and back pain after wearing them. I even tried different inserts on the first boot; didn't help. Note: it was not my sock bunching up in the shoe. Other than above.. They are actually comfy, squishy and do a good job of catching the shock from walking. They are insulated for general cold weather. I love the built in rubber toe guard and heel guard. I work as a mechanic on my feet for 10 hrs a day, other than my complaint above, I love them. I wish they would have worked out. Hi I owned these in insulated for the winter and need to get them in non-insulated for summer. These are very comfortable. This store has them dropped shipped they were very fresh, probably just off the boat. I have not had them long term yet, 1st pair last fall, will see how they hold up. Leather looks good, keep them oiled. They are dry in the rain, proven this winter, outside all winter, never went home with wet feet in these! Timberland PRO Boots: Men's Boondock Composite Toe 92615 Waterproof EH Work Boots is being added to your cart.